Answers to frequently asked questions about detoxification week and diet change. Following this motto, on this page we have listed questions and answers about the 7-Day Detoxification Plan and the The New Nutrition Plan, which have been asked over and over again. 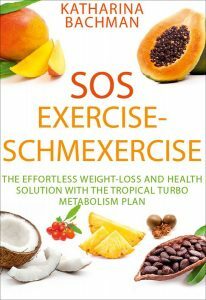 You will find the respective questions under the respective search terms »detoxification week« and »diet change«. If your personal question is not there, please send us an e-mail. But before you send us a question, please read the SOS books first. P.S . 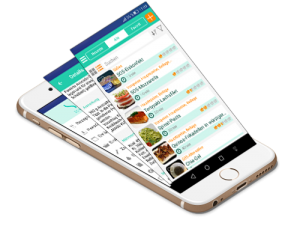 : In order to make the SOS diet even easier, we have developed the SOS app specifically. More information can be found here! Do not use bread with wheat! Are goat or sheep's milk products a good alternative to cow's milk products? Or, should I avoid animal milk products entirely? Can "normal" sugar be converted 1:1 in comparison to coconut blossom sugar when baking? Depends on how sweet you like it. I use less because the coconut blossom sugar is very intensive for me. You have to try it out for yourself. CBS is coconut blossom sugar or coconut blossom nectar, the original from the tropics. Can I also use grated coconut to make coconut milk? Yes! However, please pay attention to the quality! Organic coconut flakes would be perfect. Can I freeze the chia bread? Yes! Freeze in a glass container and defrost in the fridge overnight. This way it retains its fresh quality even after defrosting. Can I fry with goat butter? No! Only coconut oil is used for frying in the SOS diet. Intense heating of goat butter also produces the dangerous trans fats! Can I shred chia seeds, e.g., for smoothies? Yes, but smoothies are not included in the detox week, only freshly squeezed fruit juices are recommended on day 7! However, ground chia seeds can be added to meals every seven days. Please don't forget to drink lots of non-carbonated water. Can I use deep-frozen vegetables? Yes! Frozen vegetables or fruit are ideal when things have to go fast. Can I use soy sauce instead of oyster sauce? Yes, but the gluten-free soy sauce "Tamari" would be much better. Can you use ghee instead of coconut oil for frying? Ghee can also be used if it is actually made from clarified butter and not mixed with substitutes! My recommendation: Make it yourself! Coconut blossom sugar is too expensive to use for baking. Is there another alternative? If you do not have diabetes, you can also use fresh dates, bananas or real stevia leaves. But beware! Stevia powder (or platelets and beads) is often produced using chemical substitutes. Prepare stevia leaves like tea, let them boil, and use the broth. Do I have to filter out the pieces of homemade almond milk? If you don't mind the almond pieces, you can also eat them or strain them and add them to your cereals, etc. Do I have to give up everything so that I can keep my weight? No! The change in diet does not mean having to do without anything. On the contrary, there are many healthy and tasty alternatives to food that should be avoided according to SOS rules. Does fresh papaya replace the papain? And where can I buy them? No! You would have to eat an enormous amount of papayas daily to supply the organism with as much papain (enzyme) as is contained in a capsule (400 mg). Does SOS mean eating carbohydrate-free forever? No! On the contrary. Foods containing carbohydrates should be eaten in large quantities in the morning, together with foods containing proteins. That would be ideal. This SOS rule applies in the diet change (EU): Please do not consume any carbohydrates after 4 pm, i.e., all foods containing less than (< 10) 10 g KH per 100 grams. How do I dry papaya seeds? Thoroughly wash papaya seeds and dry in the oven at about 50 degrees for at least 1 hour. Or place on baking paper and leave to dry in the sun. How do I store the opened coconut oil? First of all, its not necessary to store coconut oil in a fridge. The opposite is actually the case, as below 25 degrees celsius / 77 degrees F the oil becomes solid. In many “colder” parts of the world the oil is being sold in that condition, due to the general temperature. But, this doesn’t affect the quality of the oil at all. The moment you place it near a heater or the ambience temperature is high enough, the oil will turn to a clear fluid. Since there are daily fluctuations and the tendency to count rather than to record every gram, it is best to weigh yourself once a week. Ideally always at the same time of day. For example, every Monday morning after using the toilet, or before breakfast, only in underpants, etc. This gives you the best tendency of your weight. How to wash quinoa if there is no sieve? Put quinoa grains in a kitchen towel, close the kitchen towel and rinse thoroughly under running water. I like green tea, what should I watch out for? Quality, because there are significant differences. If possible use organic goods! In which form, for example, can I use quinoa and puffed amaranth in cereals? Cook the quinoa and amaranth for the cereals or add both as a puffed version. Add puffed amaranth to vegetable dishes as well, which can produce a very fine nutty taste. It can also be used as a substitute for potatoes. No! Birch sugar is not SOS-compliant and is consistently avoided in the SOS diet!!! Is protein bread allowed after detoxification? Protein bread is generally not recommended in the SOS diet. According to many manufacturers, protein bread should contain little carbohydrates and much protein, but many varieties contain ten times as much fat. A high-protein, low-calorie diet can melt kilos, but certainly not the protein bread. And too much protein may even lead to strain on the kidneys. Is there any way to use the leftovers from almond milk production? It works great for any kind of smoothies and muesli. Alternatively, dry it in the oven and add it to the dough (cake, biscuit, nut bread, etc.). Dried almond leftovers should only be consumed AFTER the detox week! Is there anything to consider when buying melatonin? It should preferably be made from the cocoa plant! Agave syrup (or agave nectar) is a sweetener produced in Mexico from various types of agave. You should definitely use the original if there is no other way. There are many fakes on the market. Agave syrup is sweeter than honey but less viscous. However, it is even "more poisonous" than sugar. - Agave syrup is sweeter than sugar, so it requires less of it, ergo it is better than sugar, with the same sweetness. - Agave syrup has a lower glycemic index (GI) than sugar and therefore causes a lower release of the hormone insulin. As we know, less insulin in the blood is a good thing. This is why agave syrup is often recommended by the same industry for diabetics. But CAUTION! Both arguments are not false, but misleading! To understand this, we have to look closely at what agave syrup is really made of: Agave syrup is a mixture of glucose and fructose (similar to sugar), whereby the glucose and fructose molecules are not connected to each other but float freely in the syrup. Depending on the vendor, source, and quality, the ratio of fructose to glucose in the agave nectar is between 7:1 and 9:1, which means that agave syrup contains up to 80% more fructose per unit than household sugar. Since the "toxicity" of sugar depends on the fructose content, agave syrup is ironically even more "toxic" than sugar. So much for "agave syrup - healthy alternative"! What about poultry sausage, turkey, and chicken breast? Beef or goat salami is rarely or never made without pork because it would be too low in fat to stick together as a sausage. Therefore, it is essential to research ALL ingredients. Roast beef or roast veal is the best choice for cold cuts. What can I do to get down pure coconut oil in the morning? Coconut oil (liquid) can be mixed in coffee, added to a drink or simply eaten with a spoon. It is best to start with a few drops on the lip and try half a teaspoon first. What is the 300-day regulation? The year has 365 days if it is not a leap year. Within these 365 days, on 65 days we treat ourselves to gourmet delicacies that we would otherwise not eat. However, not for 65 consecutive days, all well dosed. Sometimes there are birthday parties; sometimes there are holidays or other events and, of course, holidays. 65 days a year are soon used up. After all, this is once a week, as a year is known to have 52 weeks. And another thing: On our days of sin we do not eat the "not SOS-compliant" foods from morning to evening. As a rule, the gourmet meals take place in the evening. When do I change my diet? The change in diet should follow the week of detoxification to counteract a possible yo-yo effect. When I ask for natural honey at the organic shop, they look at me and ask me what I mean by natural honey. Natural honey means "natural honey, without additives of any kind" (or even artificially produced honey)! Are dates also considered fruit? Yes! But please do not consume them during the detoxification phase! In the change of diet, fresh dates can be added to the diet as sweeteners. However, dried or even candied fruit contains too much sugar! Are peppers allowed in detoxification? Are there any foods I should not eat because of my blood type? During 7-day detoxification, blood group nourishment completely ceases. This is all about detoxification. You can, therefore, disregard this type of diet during the detoxification phase. Dr. K.S. says: "Coconut oil, for example, is very good for all blood groups!" Are there other alternatives to tofu for vegetarians? Lupins are a good alternative because they are high in protein. The meat days are about the supply of proteins, which are found in this wolf bean (also called cowpea) and are particularly important on the meat days. But also tempeh or miso (fermented products) would be good alternatives. Can I consume coconut oil on fruit day? Coconut oil can be consumed at any time. Can I cook my food in coconut milk? No, not during the detoxification phase! Can I divide the meat into three portions? The meat can be divided into as many portions as you like. However, the 560 g recommendation should not be exceeded! The meat should always be lean and eaten without skin. Can I drink carbonated water during the detox week? No! Sparkling water can over-acidify our organism and lead to flatulence. This water is not "alkaline" and should not be drunk even after detoxification. Can I drink sparkling wine instead of white wine? No! Please stick to white wine if you absolutely want to drink alcohol during this time. Carbon dioxide can over acidify the organism. In general, alcohol adds unnecessary calories to the diet! It is only seven days. Can I eat eggs while detoxing? Please follow the detoxification plan closely. Eggs are not listed. Can I eat iceberg lettuce and white cabbage salad during the seven days of detoxification? Iceberg and white cabbage salad are suitable for on vegetable days or in soup from day 4. If you add white cabbage to your soup, don't forget caraway. Otherwise, you may have intestinal or abdominal problems (and uncontrolled farting). Can I eat lamb, veal and/or veal liver? YesNo! Meat should only come from organic farmers, or organic farming and innards are not recommended during the detoxification phase. Can I eat mushrooms during detoxification? No! Mushrooms are difficult to digest, so they are removed from the diet during the detoxification phase (EW). Also during the change of diet (EU), they should not be consumed in the evening because of their difficult digestibility. Can I eat prawns instead of meat on meat days? Fish and seafood can be eaten on both meat days. Can I have the fruit as a smoothie on fruit day? No! It is better to chew the fruit because the fibers ensure good digestion, these fibers are "crushed" in the blender. Additionally, our saliva contains a special substance that pre-digests the fruit. Can I only eat twice a day on meat days? You can eat as often as you like, three, four or five times. However, the daily quantity of meat indicated in the book should not be exceeded. Can I put butter on cauliflower? A few butter flakes can be added to the vegetables. However, coconut oil would be ideal (see page 20 of the book "SOS Cookbook"). Butter should be from organic farmers, from cows fed on grass that do not receive antibiotics and/or hormones! Can I use all spices? Spices (especially hot spices) should only be added sparingly during the detoxification phase. Can I use goat butter for frying? No! During the SOS diet, only coconut oil is used for frying. Strong heating of goat butter also produces dangerous trans fats! Can I use psyllium husks instead of chia seeds? Yes! However, psyllium husks have a different effect. They are sometimes referred to as a vegetable "swelling agent" or "stool softener" and are used accordingly to regulate the intestines. Although chia seeds also have an intestinal regulating effect, they also have a high content of omega-3 fatty acids and are very satiating. Can meat be replaced by fish? Yes! However, the quantities should be followed strictly: A total of 560 g per day, on day 5 and also on day 6! Meat should also be lean! Please do not consume with the skin! Can Papain be taken during detoxification? Yeah, according to instructions. Please also refer to this intake recommendation. Do I have to eat chia seeds in detoxification? No! Chia seeds are merely a recommendation and not a must in the SOS diet. Not even during the detoxification phase. Does the 16:00 rule also apply during the detox week? No! During this time, you can eat as often and as much as you like from the respective daily meals. Nobody needs to go to bed hungry. However, the quantities of meat and fish should be complied with, i.e., 560 g per day. This amount can be divided into three, four or even five meals, as desired. How often should / can I do the detox week? The detox week can be done as often as you like. During this time, our organism receives all the substances it needs. Deficiency symptoms are virtually excluded! However, it could get a bit boring in the long run. I had snow peas for lunch today. Was I even allowed to eat them while detoxing? Peas and legumes are not supposed to be eaten. Detox still works, but if you lose weight today is questionable. You will see tomorrow. However, you will overturn the detoxification with sugar (in any form), ready-to-eat food, fast food, chocolate, with unlisted alcoholic beverages, drinks which are not mentioned, or which contain additives. I like milk coffee. Which kind of milk can I use? Home-made almond milk and other milk alternatives are best. It can now also be bought in almost every supermarket and organic food store. But beware! Purchased products often contain preservatives, sugar, corn syrup, sometimes even rapeseed oil(!) and other substances that are not recommended after an SOS diet! Is coconut water recommended during detoxification? Yes, but only in moderation and only real, fresh coconut water; no packaged coconut water, neither from tetra pack nor from cans or bottles, etc.!!! Coconut water is very healthy, but only if it is obtained directly from fresh coconuts! All ready-packed products contain preservatives. If not, the healthy water would not survive the journey from the manufacturer to the consumer. Fresh (real) coconut water only keeps in the refrigerator for about three days. After that, it will turn sour. As soon as coconut water comes into contact with oxygen, the decomposition process begins. This process has already begun when manufacturers open the coconut to remove the healthy water. Is coffee allowed during detoxification? Yes, but it should be drunk without any sweetener and cow's milk. Some unsweetened almond, hazelnut, quinoa or camel milk, as well as other cow's milk alternatives, are okay. Here's my advice: make it yourself! Is it only allowed to eat the vegetable soup/miracle soup on day four during the week of detoxification? The vegetable soup can be eaten almost at any time from day 4. However, it should not be kept in the refrigerator for more than three days. After that, you should prepare a new soup. Is soy milk allowed on day 4? Please do not drink soy milk! Unless it is guaranteed from controlled production in Germany or Austria. However, soy is not recommended for people with thyroid or prostate problems. My doctor told me not to eat tomatoes because of my rheumatism. What are the alternatives? Eat asparagus, steamed, without sauce. Instead, dribble some coconut oil over it. Please do not eat smoked fish or salmon during the detox week. What can I do about ravenous appetite? Let chia seeds swell in a glass of water (only non-carbonated water and not too cold!) or tea and drink. Chia seeds also contribute to saturation. But, please always drink plenty of water with raw chia seeds! What do I do if I get constipated? In case of constipation during the detoxification phase, you should first try Chia seeds: stir one tablespoon Chia seeds into a glass of water (non-carbonated water! ), allow for swelling for about 15 minutes and then drinking. Also recommended: Natural laxatives from the pharmacy. However, if the symptoms do not disappear within three days, please consult your family doctor. What do I do if I get diarrhea? Stir 3 - 4 tbsp gelled chia seeds or 2 tbsp swollen psyllium husk mass into tea or non-carbonated water (not too cold) and drink quickly. If the symptoms do not disappear within three days, please consult your family doctor immediately. There could also be another cause! What if I am a cancer patient? Dr. K.S. : "Detoxification is recommended for patients who have cancer." Pregnant women should not perform the detoxification week until after childbirth, provided they are not breastfeeding. Detoxification is not recommended for breastfeeding mothers. What if I get headaches despite sufficient water supply? Eat, and drink even more. If the headaches persist, you can take pain medication. If the symptoms do not subside after three days, please consult your family doctor immediately. There may be other reasons for this. What if I have a child to look after? Should / Can my child do the detoxification? In principle, detoxification is not recommended for small children. However, the change in diet should be implemented as early as possible, especially in overweight children and teenagers, particularly when they have diabetes. Please have your doctor perform a check beforehand! What if I have my menstruation, does it affect the detox? No! However, there is little or no weight loss during menstruation. The detox still takes place. What should I do if my doctor has prescribed medication that I need to take every day? All prescribed medications should continue to be taken during the detoxification phase. However, it is strongly recommended to have a check carried out by your doctor as soon as possible. Dosages may have to be readjusted (reduced). Diabetes patients should consult their family doctor during the detoxification phase. The patient may have to be readjusted. This recommendation is particularly important if you change your diet after detoxification. If you miss any clarification or question on the list as above, please do not hesitate to send in your question. We’ll add your question to the block as above. So please visit us again a couple of days later, so as to find the answer. Thank you.